My son’s friend gave him tea cookies for his birthday. My husband and I got to taste them and they were really good. It inspired me to make some for my family. Green tea is my favorite so I decided to make use of green tea powder to flavor the sugar cookies. I went to our local Asian supermarket, T&T, to purchase the green tea powder and tried making these matcha green tea sugar cookies. The first time I tried it, I was disappointed because the cookies did not come out green and had no taste of green tea at all. It turned out that I bought the wrong green tea powder. After buying the right matcha green tea powder and trying it again, I was able to make these delicious and very green cookies. I really enjoyed eating these delightful treats with a cup of my favorite green tea. I hope you enjoy them too! In a large bowl, beat butter with sugar until light and fluffy; beat in egg and vanilla. Whisk together flour, matcha green tea powder, baking powder and salt; gradually stir into butter mixture until dough comes together. Divide dough in half and wrap each in plastic wrap. Refrigerate for 1 hour. Let stand at room temperature until soft enough to roll out, about 15 minutes. Preheat oven to 350 °F. Line baking sheet with parchment paper. Set aside. Place dough on a lightly floured surface and roll to ¼ inch thick. Use cookie cutter to make cookie shapes, re-rolling any scraps. Repeat process with the other dough. Place cookies on prepared baking sheet and bake for 10 to 12 minutes or until edges are light brown. Let cookies cool for a minute on baking sheets on racks then transfer to racks and let cool completely. Thanks for this recipe! I tried making them but the dough came out crumbly and wouldn’t hold together enough for me to roll out and cut shapes into it 🙁 Do you have any advice? I will admit that I probably over mixed the dough after combining the wet and dry ingredients. I ended up just balling the dough and baked it that way. It was still good! I was just hoping to be able to cut fun shapes into them. Just add a very small amount of water or milk, that’s what I had to do. 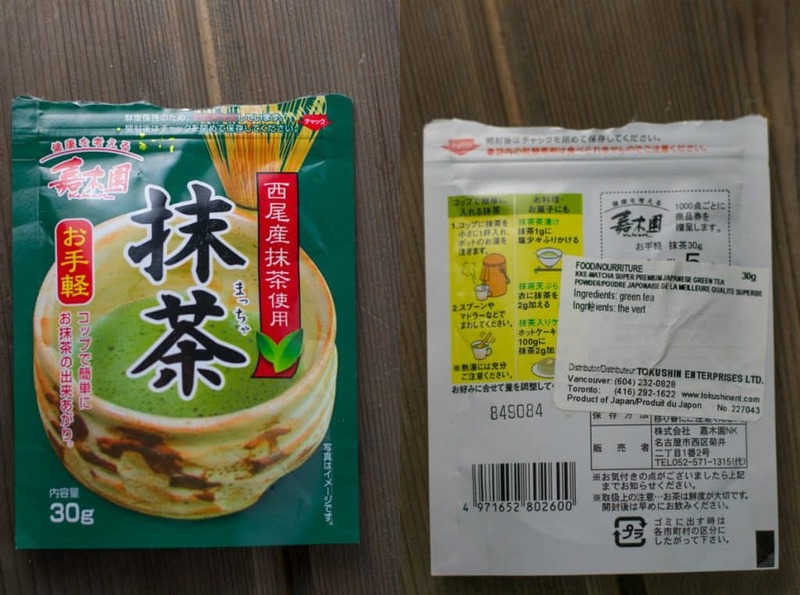 You said you first bought the wrong green tea powder, then the right kind. What’s the right kind to buy? Hi Sara, Here is the one that I ended up using: Matcha . The first one that I bought was milder and used only for drinking. The one I ended up using was stronger and more appropriate for baking. I hope that helps! Made these tonight and they are amazing! I almost ate them all by myself. I will be making these again and again. looking forward to try the matcha version of sugar cookies! Oh man, these almost didn’t make it to the oven. One taste of the dough and I was hooked. Such a wonderful, simple recipe. This will be my new go-to, since my daughter and I are OBSESSED with matcha! This is a nice recipe!